(1) Xing Han, Jie Zhang, Jinjing Huang, Xiaowei Wu, Yan Liu* and Yong Cui*, Chiral Induction in Covalent Organic Frameworks. (2) Jingjing Jiao, Chunxia Tan, Zijian Li, Yan Liu*, Xing Han and Yong Cui*, Design and Assembly of Chiral Coordination Cages for Asymmetric Sequential Reactions. J. Am. Chem. Soc. 2018, 140, 2251. (3) Xing Han, Jinjing Huang, Chen Yuan, Yan Liu* and Yong Cui*, Chiral 3D Covalent Organic Frameworks for High Performance Liquid Chromatographic Enantioseparation. J. Am. Chem. Soc. 2018, 140, 892. (4) Chunxia Tan, Jingjing Jiao, Zijian Li, Yan Liu*, Xing Han and Yong Cui*, Design and Assembly of a Chiral Metallosalen-Based Octahedral Coordination Cage for Supramolecular Asymmetric Catalysis. Angew. Chem. Int. Ed. 2018, 57, 2085. (5) Xu Chen, Hong Jiang, Bang Hou, Wei Gong, Yan Liu* and Yong Cui*, Boosting Chemical Stability, Catalytic Activity, and Enantioselectivity of Metal-Organic Frameworks for Batch and Flow Reactions. J. Am. Chem. Soc. 2017, 139, 13476. (6) Xing Han, Qingchun Xia, Jinjing Huang, Yan Liu*, Chunxia Tan and Yong Cui*, Chiral Covalent Organic Frameworks with High Chemical Stability for Heterogeneous Asymmetric Catalysis. J. Am. Chem. Soc. 2017, 139, 8693. (7) Jie Zhang, Xing Han, Xiaowei Wu, Yan Liu* and Yong Cui*, Multivariate Chiral Covalent Organic Frameworks with Controlled Crystallinity and Stability for Asymmetric Catalysis. J. Am. Chem. Soc. 2017, 139, 8277. (8) Qingchun Xia, Zijian Li, Chunxia Tan, Yan Liu*, Wei Gong and Yong Cui*, Multivariate Metal-Organic Frameworks as Multifunctional Heterogeneous Asymmetric Catalysts for Sequential Reactions. J. Am. Chem. Soc. 2017, 139, 8259. 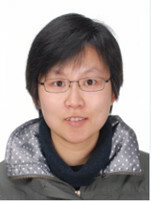 (9) Jinqiao Dong, Chunxia Tan, Kang Zhang, Yan Liu*, Paul J. Low, Jianwen Jiang and Yong Cui*, Chiral NH-Controlled Supramolecular Metallacycles. J. Am. Chem. Soc. 2017, 139, 1554. (10) Xu Chen, Yongwu Peng, Xing Han, Yan Liu*, Xiaochao Lin, and Yong Cui*, Sixteen Isostructural Phosphonate Metal-Organic Frameworks with Controlled Lewis Acidity and Chemical Stability for Heterogeneous Asymmetric Catalysis. Nat. Commun. 2017, 8: 2171. (11) Xiuren Wang, Xin Han, Jie Zhang, Xiaowei Wu, Yan Liu* and Yong Cui*, Homochiral 2D Porous Covalent Organic Frameworks for Heterogeneous Asymmetric Catalysis. J. Am. Chem. Soc. 2016, 138, 12332. (12) Yan Liu*, Xiaobing Xi, Chengcheng Ye, Tengfei Gong, Zhiwei Yang and Yong Cui*, Chiral Metal-Organic Frameworks Bearing Free Carboxylic Acids for Organocatalyst Encapsulation. Angew. Chem. Int. Ed. 2014, 53, 13821. (13) Taifeng Liu↑, Yan Liu↑, Weiming Xuan and Yong Cui*. Chiral Nanoscale Metal-Organic Tetrahedral Cages: Diastereoselective Self-Assembly and Enantioselective Separation. (14) Yan Liu, Weimin Xuan and Yong Cui*. Engineering Homochiral Metal-Organic Frameworks for Heterogeneous Asymmetric Catalysis and Enantioselective Separation. Adv. Mater. 2010, 22, 4112. (15) Yan Liu, Xin Xu, Fakun Zheng and Yong Cui*. Chiral Octupolar Meal-Organoboron NLO Frameworks with (14, 3) Topology. (16) Yan Liu, Gao Li, Xing Li and Yong Cui*. Cation-Dependent Nonlinear Optical Behavior in an Octupolar 3D Anionic Metal-Organic Open Framework. Angew. Chem. Int. Ed. 2007, 46, 6301.